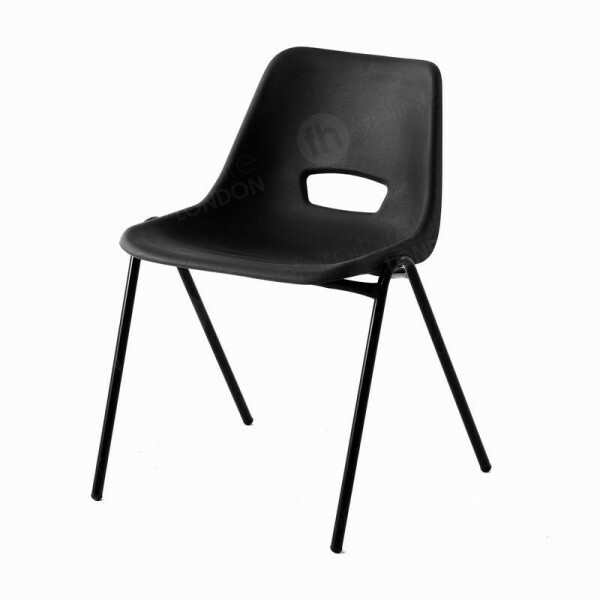 Extremely versatile, fantastic value and smart looking, our black plastic chair complements all kinds of occasions, from exams, conferences, entertainment shows and much more. Chose this when you’d like affordable chair hire, and seats that can be easily stacked, set up and stored. Choosing this model for your plastic chair hire means you’re not only getting a fantastically affordable and versatile product, but one that is very similar to an iconic item born in Britain. Way back in 1963 an inventor called Robin Daye unveiled his polypropylene chair - which hasn’t changed much since this time. He was motivated to create this product because he was keen to bring an affordable seat to the market that was easy to mass produce and could be used for many different functions. Fast forward over 50 years and this design has proved a template for millions of other chairs, with the polypropylene seat winning a huge number of awards and becoming one of the best sellers in the world. In fact, it featured in the top eight British Design Classics in 2009 and was used to grace stamps along with several other products. Now the plastic chair is exported to scores of countries around the world for use in many different locations, from schools to businesses and other organisations too. Although this is a very popular item to purchase, we also find that both our blue and black models are a favoured plastic chair hire choice for our customers. When something works, there’s not much need to change it, and the design of our polyprop seating has not altered all that much since the original line first became available. Using an injection moulding process, our plastic seats are also extremely affordable, meaning we can offer you a very cost effective rate when it comes to hiring them - they’re even cheaper than if you bought them. As the polypropylene materials used in the seat are also exceptionally economical then this is a fantastic option when you’re placing larger orders, or you’re working to a tight budget. The design of this item not only suits your pocket though, it’s extremely convenient. Part of the reason that the look of this model hasn’t changed that much over the years is because it works so well as it is. The steel tubular frame and polyprop seat are very robust, which means you can rely on them to maintain their shape and smart appearance when they get lots of use and when you move, stack and store them. As they are so hardy, they can be moved in large batches on wheel trolleys and if you want to store them between events or because your function has finished, then they’re stackable to ten high. When these were first created, the designer made sure to include some comfort features, like the curved seat back. These have since been developed and as well as getting a chair that’s shaped to complement the spine, users can also benefit from the ventilation hole in the seat back. This is a great feature when the plastic chair is being used for those longer occasions, such as exams, tutorials, seminars and conferences. 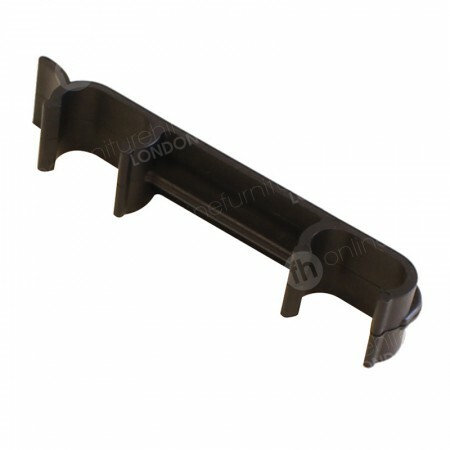 This item really is an all-rounder and it’s basic design means it’s a hit across the globe in many different locations. If you'd like them in a different finish, why not try our blue polyprop chair hire range, or our white folding chair when you'd prefer seating that can be folded/unfolded in seconds. Because this is such a popular chair rental choice and is affordable too, we have lots available to meet demand. This black plastic model is perfect when classy looks are important, and we also have a blue product line, if this is a better fit for your occasion. We’re able to send out very large batches to any UK destination thanks to our extensive delivery network, which covers mainland Britain. When you need your order in a hurry, then opt for our next day delivery service and we’ll transport your seats to you the day after you order them - wherever you live in the UK! Are these chairs comfortable for long events? Our plastic chairs feature several comfort features, such as a curved seat back and ventilation hole for longer occasions. For extra comfort during events our black stacking chairs have deep cushioning and lumbar support. Can I store your plastic chairs easily? Very! When you want plastic chair hire and choose this model, you’re getting a very hardy seat attached to a steel frame - which allows it to be stacked ten high for storage. Part of my event is outside - is it okay to use them outdoors? Yes. These make great outdoor chairs because both the plastic seat and steel frame is waterproof. I need to place a large order - will you have enough in stock? Thanks to our large warehouses in major UK cities we have lots of room to store thousands and thousands of our black plastic chairs - get in touch to place your large or small order today. My venue isn’t in a major city - can you still deliver? Certainly. Our transport network encompasses the entire mainland UK. What’s more, we promise next day deliveries to this entire area! Chair Hire - What Do We Deliver?